After four month I created a new Quiz. Hope you enjoy it and are able to solve the questions. Good luck. Hereby I make the Open Call to become a Guest Blogger on this blog. I am reading various blogs on the net and several did a so called "Guest Blogging". Readers, Visitors, Authors, Scientists, Fans and many others are invited to write a post or article for the blog. So I decided to make a similar open call for my readers to invite them to write a guest article or do a "Guest Blogging". What's going on and how can you become a guest blogger? It's very simple. If you got an idea for a post, an article, a topic for a discussion, a private project, an interview or anything else that should be spread to the Earthdawn community, here's your chance. Write down a short excerpt of your idea and contact me. Please use as subject for your contact-email: "Guest Blogging" to guarantee a better overview. All the other emails without that subject will be ignored, so make sure you do it right! I can't tell right now how many guests will be approved, this depends on the amount of incoming topics and how they differ from others. I also can't tell whose idea will be approved and why and why others don't. This is the first time I make such a open call for guest bloggers and therefor I want a maximum of 3 or 4 guest bloggers. But be sure that this won't be the last time I make this open call and if you don't make it, please try again next time or I will contact you again when I make an Open Call again. - your article, topic or whatever must be related to Earthdawn. If you don't know what Earthdawn is, first look at "What is Earthdawn?" - your article has to be written in English, I'll support you in translating it if you think your English isn't good enough. - one article per head. - you're not allowed to use any pictures or material you don't own the rights for or at least got the permission to use them. - all your pictures and texts remain under your copyright and you got the right to tell me to remove them at any time. So what do you get from all of this "Guest Blogging"? Sorry, but I can't pay you, :-)! The only thing I can provide are back links to your site including a short description, the appreciation of other Earthdawn fans and the immortality of your post. The Open Call will be closed on 4th July, after that I will contact the chosen and start talking about their idea and the execution of the "Guest Blogging". I hope the idea of Guest Blogging on the Earthdawn Blog will be a successful story and I hope you'll like the articles. As I announced some time ago, the next topic of "Earthdawn World Wide" will be Poland. Finally I am proud that a lot of people from the polish Earthdawn community helped me to get together those information about the Earthdawn scene in Poland. Special thanks go to Sethariel. The polish Earthdawn community is active on various websites, but there are three main websites, that cooperate Earthdawn.pl, Kaer Earthdawn and Akademia Wiedzy. The following description of the history and the content of the 3 websites was written and sent to me by Sethariel. 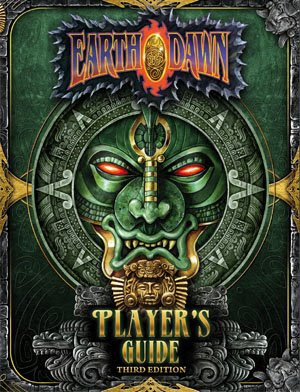 Earthdawn.pl was the first polish website related to Earthdawn. It started in the end of 1999 and in the beginning it was only a page of the Official Polish Earthdawn Mailing Group. It had a list of members, some most important info's about ED and about the Mailing Group. Andrzej Swędrzyński was the person who organized the site and the mailing group. As time went by earthdawn.pl started to organize an Earthdawn Play by E-Mail (PbM) game, and started to include some earthdawn fanmade material. First there were stories created by the members of the PbM, and then some scenarios and other stuff was created. Earthdawn.pl always had of course news about the most important things concerning earthdawn in Poland. If a new earthdawn book was published in Poland, earthdawn.pl always had information about it. 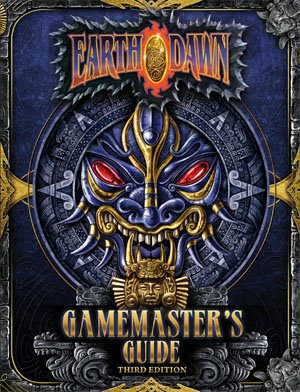 Earthdawn.pl also had a big list of links to polish and English earthdawn fan sites. This role of earthdawn.pl hasn't changed since then. Another role was converting English earthdawn material into polish language. This had started even before Earthdawn was published in Poland, as earthdawn fans made a big contribution to the translation of the whole system and earthdawn mechanics. In 2000 members of earthdawn.pl contacted Benjamin Legangneux, the author of EDCG and got a permission to translate his program into polish. The result came quite quickly. In 2002 earthdawn.pl translating team translated James D. Flowers Earthdawn Downtime System (System Czasu Wolnego). In 2003 earthdawn.pl took care of earthdawn IRC channel. The channel exists until today, has its own page and is taken care of by other fans. In 2004, earthdawn.pl organized with Kaer Earthdawn (section of polter.pl site) an Earthdawn Competition searching for text describing a random place in Barsaive. Not many were sent, but they were of good quality. The 3 winning texts are available on earthdawn.pl site and on Kaer Earthdawn. In the meantime earthdawn.pl started to include some English published sourcebooks reviews. In 2005 the "Codex Arcanus" of Earthdawn Publishing Trust was translated into polish. In 2006 Earthdawn.pl Forum was created. It's quite active till now. Earthdawn.pl has changed a lot during its existence in the web, the layout changed, people responsible for the site changed but the site remained during that time a place where all polish ED loving fans meet. In 2004 a section of Earthdawn on Poltergeist site (polter.pl) was created. It was called Kaer Earthdawn and is active till today. It had some breaks due to lack of redactors. It was very active in 2004-2005 when Rheged was the main redactor, In 2005-2006 it was run by other redactor - Chavez. In 2009 it was taken by Mariusz "Kot" (or Mackotek) Butrykowski and is very active now. Since the beginning of 2009 an unwritten agreement of partnership with earthdawn.pl and Akademia Wiedzy on Moorhold.net site was made. The articles are published quite regularly, every week or every two weeks on every site. Akademia Wiedzy (The Academy of Knowledge) has a similar history like Kaer Earthdawn. It was created in 2004-2005 not sure. But it was being reconstructed many times when one redactor left and there was no one to take care of its Earthdawn section. Akademia Wiedzy is a section of Moorhold.net site. Akademia Wiedzy has an untypical atmosphere because it is run like a Theran School of Magic, where information from the World of Earthdawn is gathered. Akademia Wiedzy includes also most important Earthdawn related news and information about polish and world earthdawn fandom. The articles are published more or less once a month. There are plans to take all of the material on Akademia Wiedzy and make a fanbook. The redactors now are Marek 'Nixos" Widz. There is a quite good partnership between Akademia Wiedzy and earthdawn.pl. Some of the earthdawn.pl members were correctors of the texts published there. Kaer Earthdawn on Polter.pl keeps informing about any new articles published on Akademia Wiedzy. Beside those 3 sites other interesting sites appeared: Inkluz.pl (home of a once very popular fanzin with a section of Earthdawn run by Encefalograf, unfortunately not active since 2005), ED Corner, gerion.pl, Ajfel's site - active till 2006, Earthdawn section on Wrota Wyobrazni (inactive), Pradera's site (provides the great Travelling Calculator that I already introduced in this post), Parlainth, Wrota, Earthdawn section on Elixir, Wieża Snów (home of a fanzin that used to include Earthdawn related articles) and of course some other smaller fansites. There was also an Earthdawn Wiki Project. It developed very slowly and it develops very slowly till today. It can now be found on Wikia. For most Earthdawn fans the fanworks of EDPT or the german "Foliant des Abenteurers" are well known. But the polish community also created their own fanworks, that are well known there. I received some info's about two fanworks or -projects in Poland that cover various topics. The first work is "Kronika Skradzionych Legend"
"Kronika Skradzionych Legend" is the first, unofficial fanmade Earthdawn sourcebook published and printed in Poland (2007). The book is written from the perspective of a t'skrang woman Troubadur - T'saanas V'shala from the House of V'strimon. "Kronika Skradzionych Legend" contains texts about theran mages, the Death Sea and Creanian Tarot (a deck has been included as a bonus to the sourcebook). On 170 pages, with lots of illustrations, every Earthdawn fan will find something interesting. There are new magical items, adventure ideas and different new creatures. The authors decided to develop also a new discipline – Firedancer (Tancerz Ognia). A scout gliding above the Death Sea and searching for kernels of true elements. The last thing in the sourcebook is the whole epic campaign "Powietrzny Okręt" (Air Ship), half of it was published in the polish magazine about role-playing - "Magia i Miecz" (Might and Magic). Additionally I received a pdf preview of "Kronika Skradzionych Legend" and further preview pics of the content. Thanks for the explanation and the preview go to Nixos and Dziewic. The second project that I want to introduce to give you an insight to the polish Earthdawn community is the previously mentioned polish roleplaying magazine "Magia i Miecz" (Might and Magic). A lot of fanmade material has been published in "Magia i Miecz", the first and longest lasting RPG magazine in Poland (1993-2002). It is dead now since 7 years and had 103 editions. But as it was alive, it contained a lot of Earthdawn material. For example translations of articles from Earthdawn Journal, new polish articles and polish Earthdawn adventure scenarios, including scenarios from "Powietrzny Okręt". A very good campaign called "Pachnidło" (Perfume), with a plot about the perfumers in Throal. There was also some material in newer magazines like "Portal" (also dead, but its company still supports other RPG publications including their own RPG systems) or "Gwiezdny Pirat" (Star Pirate), but they contain a lot of stories and don't provide the quality "Magia i Miecz" did. The fanworks that I mentioned first should be honored much more, especially when you look at the situation concerning Earthdawn publishers in Poland. There is no official Earthdawn publisher anymore and that since 7!!! years now. The former publishing company was "Wydawnictwo MAG". The last book they published was Horrors in 2002, then they decided to drop any RPG line and started to publish literature only. For me it is incredible how Earthdawn survived in Poland and has still such a strong fan community, without a publisher far and wide. I think the new 3rd edition of Red Brick is the perfect chance for a polish publisher to translate Earthdawn and give the polish community back what they deserve: Polish Earthdawn books!!! I want to thank again all the supporters that helped me with this article. I know it took me a while to complete it. But nevertheless I hope I was able to provide enough informations about the polish community and the history of Earthdawn in Poland. I guess everyone already read the news of RedBrick showing a preview of the cover art of the 3rd Earthdawn Third Edition core rulebooks Players- and Gamemasters Guide. As I had a close look at the cover of the player's guide I thought: "hm, I know this cover". And finally I remembered the german fanbook "lost treasures" and its cover made by Kathy Schad. I think these are great covers and they differ a lot from the old covers so that everyone will recognize: "These are the 3rd Earthdawn Third Edition, the new and exciting core rulebooks for Earthdawn done by RedBrick". But I am also happy that a former fanbook cover made it in a different form to an official cover of Red Brick. Great work Kathy.